This is the turn-key option you have been waiting for in the heart of Lonsdale. This oversized 1,026 sq.ft., 2 bed/2bath apartment has been freshly renovated with new flooring/paint/bathrooms/lighting/crown mouldings/blinds that make you feel like you're staying at The Four Seasons. 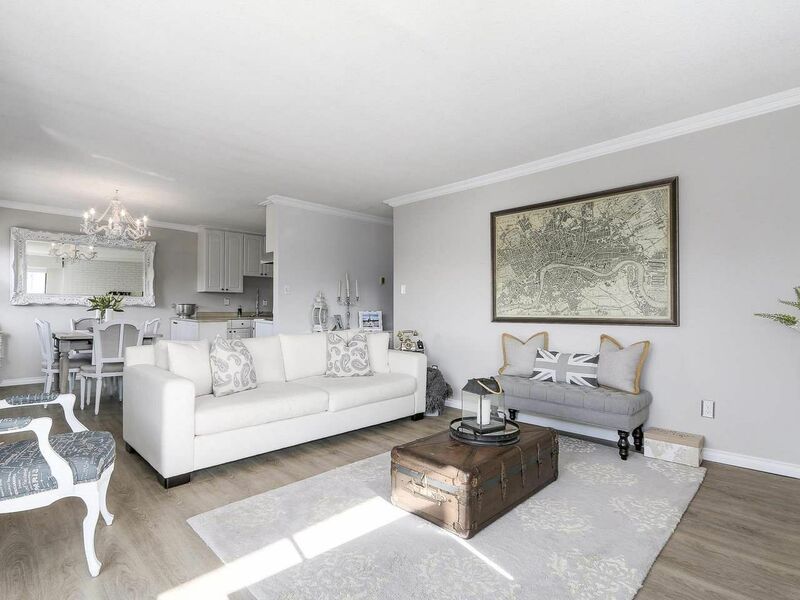 This top floor corner unit boasts an open concept floorplan and opens to your private, sun-soaked, south facing patio with beautiful westerly views including the Lions Gate Bridge. Both bedrooms are exceptionally large and the master has a convenient 2 pc ensuite. The location can't be beat - just steps away from Lonsdale yet far enough away to not hear any noise. Walking distance to amazing shops, restaurants and transit. 1 parking and 1 storage locker. Open May 6/7, 2 -4pm. This won't last!